Please join us for this special occasion. 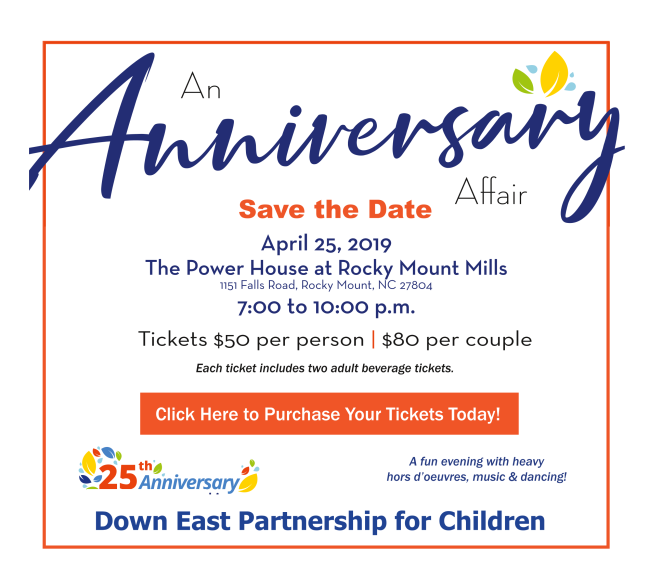 An Anniversary Affair is a great opportunity to support young children and families in the twin counties. All proceeds go to the Down East Partnership for Children. Sponsorship opportunities are also available. Please contact BLambeth@depc.org for more information.